When you get to be my age birthdays are no big deal. They are just another milestone on the way to some far-off horizon. Today was not the first time I have observed a birthday overseas, but it was definitely the best birthday I have had away from home. I received some unexpected surprises that made this a really special day for me. 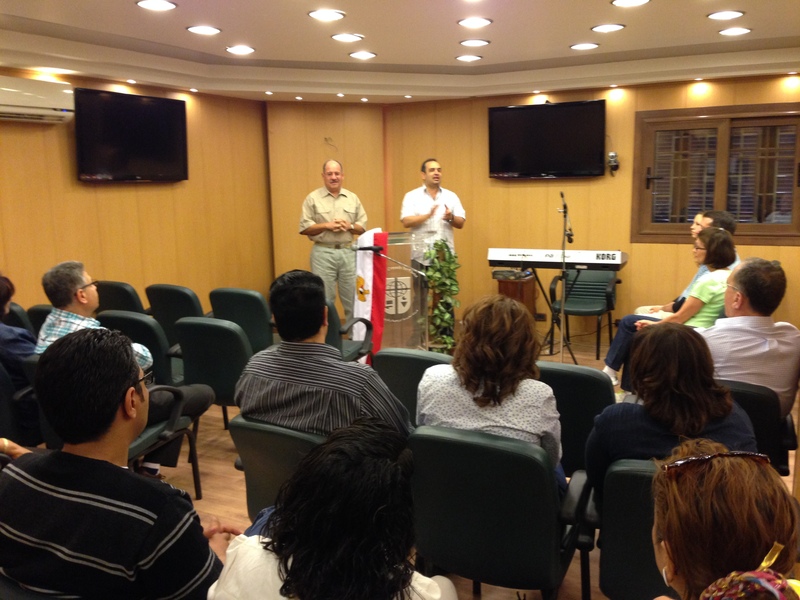 First, I received an invitation yesterday to speak to the Egyptian Campus Crusade Staff this morning. There are more than a hundred of these folks serving in Egypt. The Campus Crusade country leader asked me to challenge his team to engage creatively in reaching the unreached — definitely one of my favorite topics. I always enjoy being with people who are already actively engaged in advancing the interests of God’s kingdom. It’s not hard to motivate people like that. I will speak again to the team leaders on Wednesday morning. 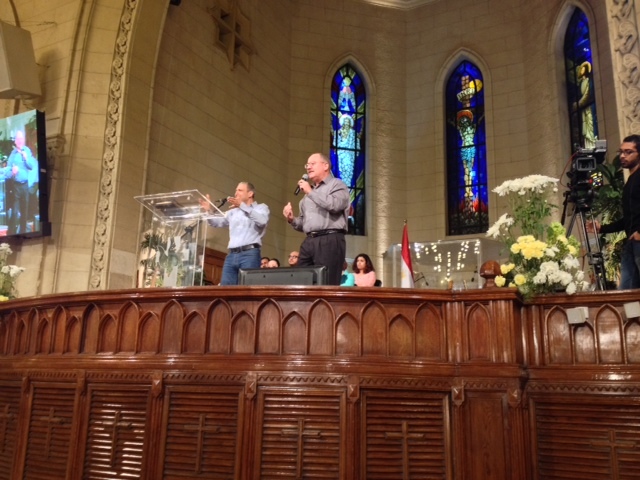 Second, I was asked to speak at Kasr El Dobara, the largest evangelical church in the Middle East. Last year I spoke at their Monday night prayer meeting, a gathering of more than two-thousand people worshiping and praying, that is broadcast live to a million viewers throughout the Arab world. I love this church and her heart for the nations. Tonight I spoke about how the life of Jesus was oriented in the direction of people with messy lives and our responsibility to orient our lives in the same direction as Jesus. Third, I received email and text birthday greetings throughout the day, more than I have ever received. I don’t know how so many people knew it was my birthday, but it was refreshing and encouraging to receive so many nice notes. Each note was like a little bit of honey and a little bit of balm. I received notes from friends I have not seen in years. Absolutely the kind of thing that can keep you going with a smile and that will add a spring to your step. 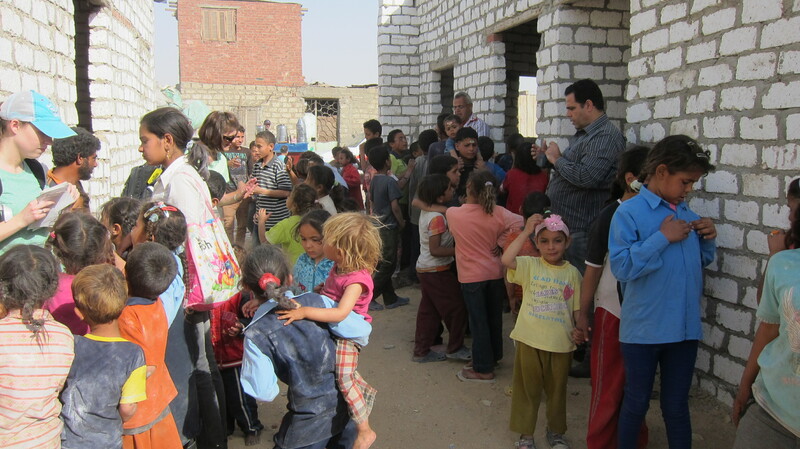 Finally, our team had a nice time today with the Zabbaleen kids in Helwan. 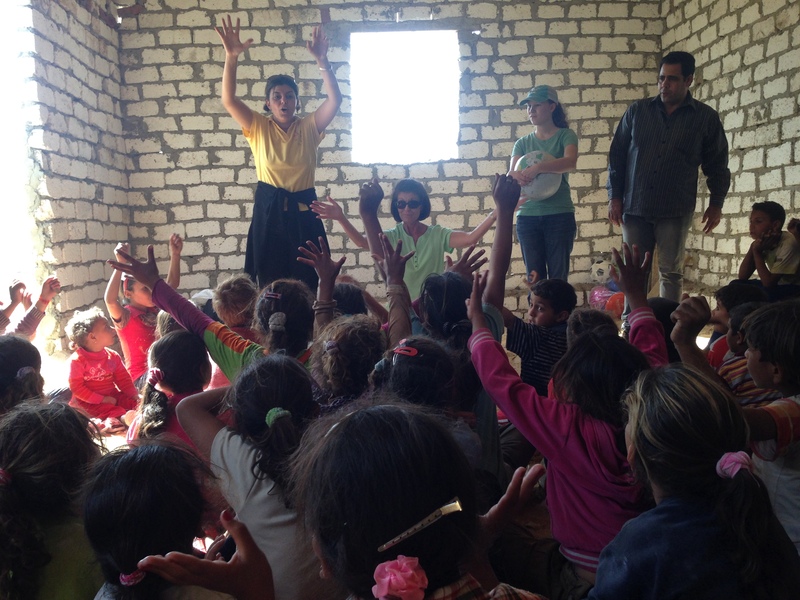 Katherine and Christy taught the story of creation to the kids. It was fun watching the kids engage with the story. 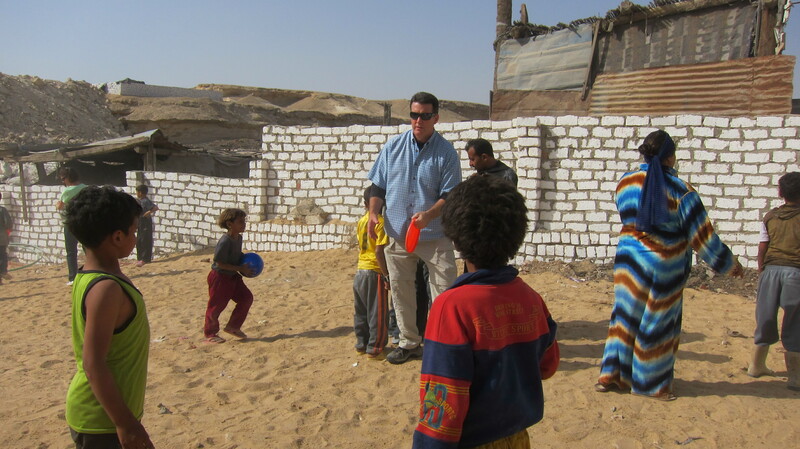 Afterward, David distributed soccer balls and frisbees and the fun began. The kids loved having real soccer balls and discovered how much fun a frisbee can be. 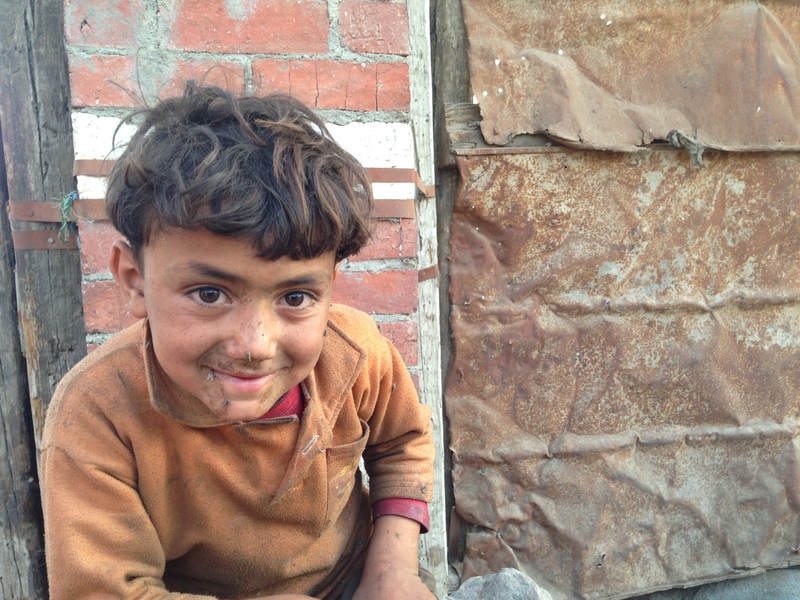 A little girl told one of our translators that this was the best day ever. When asked why, she replied, “Because I got to play!” For a brief time this afternoon, this little girl got to be a kid, just an ordinary kid without a care in the world. Although I missed my family today, God took care of me by surrounding me with my extended family of faith and encouraged me in so many ways. Today was a non-stop day of ministry, exactly the kind of thing I love. I feel as though God put together the best birthday party ever for me, certainly one I will not soon forget. Thank you, Lord. PS | My sister Bonnie was born on my first birthday. Happy Birthday, Bonnie. I love you. Fantastic Omar!!! The recipients of your teaching and encouragement would be so blessed I am sure. Glory to God! Thank you for your service to the Kingdom. And Happy Birthday! Thanks, Cathy. Grateful for every opportunity to serve the interests of God’s kingdom. What a great day. Happy belated birthday friend! Happy Birthday, Omar. Thanks for being a great brother. Praying for you. I love you. Happy Birthday, Omar. We are very thankful for you and your heart for the nations! God bless you and your family! Thanks for your kind words, Pam. Happy Happy birthday, Uncle!! You’ve been a blessing in my life and the life’s of so many. So thankful for your heart to Go Beyond. Thanks so much, Auntie. I love and appreciate you and Keith. Thanks for your love for the nations.